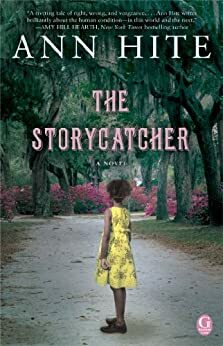 The Storycatcher by Ann Hite is an intriguing, sometimes frustrating, circuit from Black America, through a hillbilly noire looking glass, and back. This book is filled with the sort of inveterate controversy that has divided the United States for over 150 years, and like the American vista that it articulates it is more of a moire pattern than blend. The narrative is first person with the feel of autobiography, rather than fiction, and a plethora of personal points of view (POV) which combine to eliminate any clear narrator. In addition to the quirky style, the stories wind about one another in a slipstream fashion that defies categorization, and ultimately identifying a clear target audience. At times it reads like a YA paranormal romance, at others a gothic horror, and still others it seems to be reaching for literary fiction. But without a clear focus, the story never really catches and falls a little short of the passion and drama necessary to satisfy readers of any one genre'. The story opens with the POV of self employed housekeeper Ada Lee Tine. Her racism and two dimensional portrayal of whites and light skinned blacks is disturbing and off-putting enough to make her unsympathetic. By starting from her POV the author inadvertently promotes this perspective. Without the introduction of a mystery, which is not solved until the end of the book, I would have found it impossible to continue beyond the first chapter. Introduction of the mystery was a bit too cryptic and risked losing interest as well. Despite its flaws, The Storycatcher manages to capture the imagination and entertain. The disparate pieces gradually resolve into a coherent plot that is both imaginative and unusual. The black characters, living and dead, are vital and compelling. When Ada Lee reappears toward the end of the story, we find her a very different and likeable person. Bottom line: Readers of genre' fiction will likely find The Storycatcher inaccessible and tedious, and readers of literary fiction will tend to find the story bland and esoteric. However for those who are willing to make the leap it can be enlightening and offer a perspective on 20'th century life that has been quashed in the name of political correctness; a perspective impossible to explore in its contemporary setting. For the believer, in particular the Methodist, this story will offend. The Storycatcher's jaundiced, two-dimensional portrayal of Christianity and promotion of witchcraft and necromancy as morally superior alternatives will be a clear and unjust indictment. This is a book that will offend and should probably be a pass.